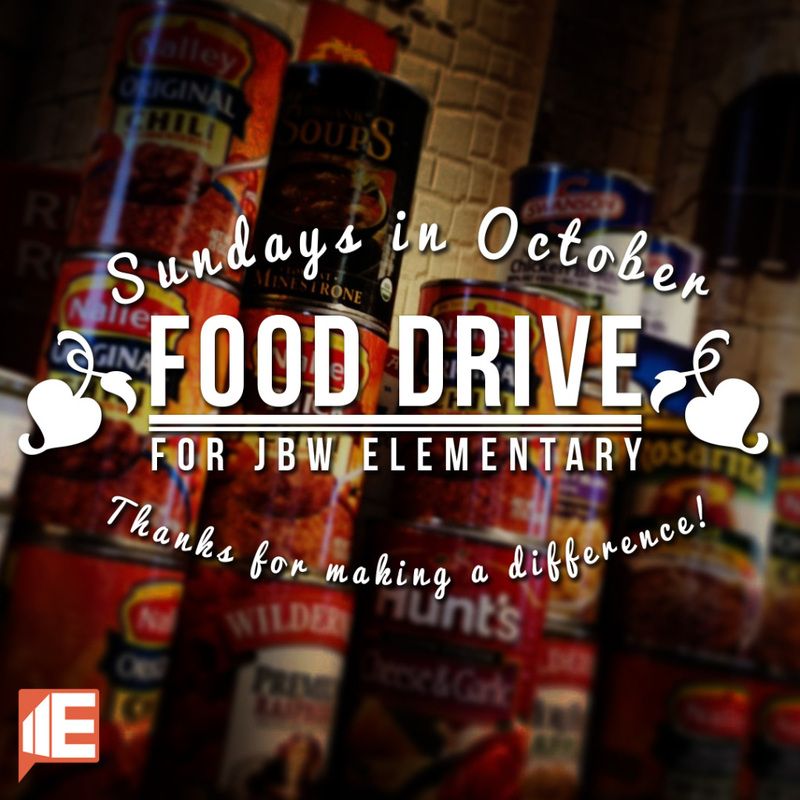 We’re doing a FOOD DRIVE for John B Wright Elementary this October! They are in process of establishing a food pantry for assisting families within their school. Since they are a school that is dear to us, we decided to step up and help them get this launched. Grab a bag with a possible list from an Elements Sunday Service. Fill it up. Bring it back during October. We’ll be delivering the last week of the month, so you have until Sunday October 26th to return your items.